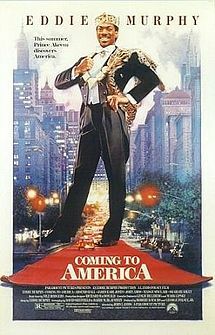 The song already grabbed my heart with an intro from one of my favorite movies, Coming to America starring Eddie Murphy and Arsenio Hall. “Some marry for love… some marry for papers” Ha! This reminds me of my own family’s experience. Okay, don’t tell anyone, but my grandfather came to New York legally on a work via in the 1960′s. He was a migrant worker sent to South Carolina from Jamaica. He entered the country legally. What had happened, however, was he overstayed his visa. He later found himself in Harlem, lived all around the city, and eventually settled in Queens. He was married shorter than you can say the word Americana and later became a citizen. “We still push the dollar cabs/Wherever the dollars at” My grandfather fits the Jamaica stereotype that Jamaicans have, like, 50 jobs. Among many things he a dollar van driver, cook, worker in a bank, and owned a restaurant. For some, umm insight, into this stereotype, check out the sketch below Hey Mon from the sketch comedy series of the late 80′s and 90′s In Living Color. “Speaking in our Native Tongue/And I ain’t talking Tribe and them” A play on words with the term native tongue, which is also a hip hop collective known for their jazz samples. Founding members include the group A Tribe Called Quest. This line reminded me of the patois my family would speak, and I would hear even more when I visited Jamaica for the first time when I was ten years old. I sometimes felt like I needed a translator. I also enjoy the guitar riffs, trumpets, and busyness of immigrant life in NYC painted by Blitz’ words. 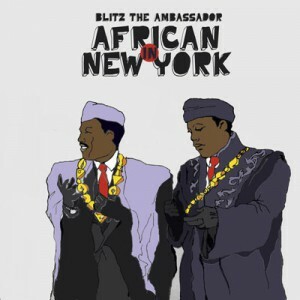 Oh and you can hear African in New York for free. Catch it below. « What’s In Your Hand – Advice from Adam Clayton Powell, Jr. Coincidentally, am sipping a can of malt atm, lol. Great song by all standards.